﻿Maui wasn’t much different from the farm rock where I’d spent my early childhood. A dwarf planet about three hundred kilometres across, just large enough to have been pulled into a sphere by its own gravity: a rough ball of water ice accreted around a core of silicate rocks, contaminated with pockets of methane and nitrogen ices, coated in layers of primordial carbonaceous material and spattered with craters, one so big that material excavated by the impact covered half Maui’s surface with a lightly cratered debris shield. Two fragments lofted by that impact still circled Maui’s equator, a pair of moonlets kindled into sullen slow-burning miniature suns by Quick construction machines during the short-lived world-building era immediately after their seedship had arrived at Fomalhaut. The Quick machines had extensively gardened the worldlet too, planting vacuum organisms in seemingly random and wildly beautiful patterns utterly unlike the square fields of my foster-family’s farm. 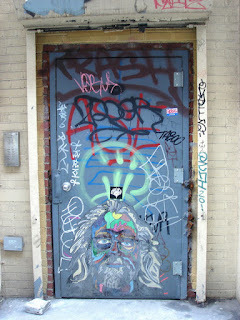 Huge tangles of ropes, crustose pavements, clusters of tall spires, fluted columns and smooth domes, forests of wire. Mostly in shades of black but enlivened here and there with splashes and flecks of vivid reds or yellows, sprawled across crater floors, climbing walls and spilling their rims, spreading across intercrater plains, sending pseudohyphae into the icy regolith to mine carbonaceous tars, growing slowly but steadily in the faint light of Fomalhaut and Maui’s two swift-moving mini-suns. Once, when the Quick had been the sole inhabitants of the Fomalhaut system, these gardens had covered the entire surface of the worldlet, inhabited by only a few contemplative eremites. Now, they were scarred by tents built to house refugees, the monolithic cubes of fusion generators, landing stages, materiel dumps, missile emplacements, strip mines, refineries, and maker blocks. My transit pod was flying above a region scraped down to clean bright water ice when my security delivered a message. Report to the Redactor Svern when you are finished. 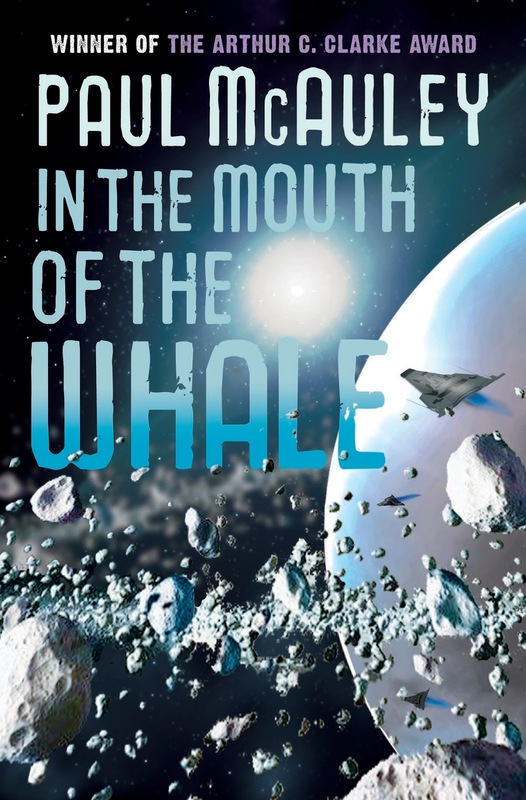 These days, 'publication day' is a somewhat nebulous concept, but anyway, although it has been available from Amazon for a little while*, today is the official publication day of the mass-market paperback edition of In The Mouth of the Whale. Happy birthday, little book. I hope those who go looking for you are able to find you; and I hope that some people who didn't know about you will find you too. For the curious, there's more information here, along with some extracts. *Edit - have been reminded that you can also buy it here, with free worldwide delivery. ﻿The Child had an early familiarity with death. She kept a small menagerie of animals collected from the wild places inside the town limits or bought in the market. She had a tank of terrapins, several tanks of river fish. She had an ant farm sandwiched between two plates of glass. She collected several species of stick insect from the forest, and bought a baby sloth from a mestizo boy in the market, but it died because she couldn’t figure out how to wean it. Most of her animals died, sooner or later. One day her fish would be all alive-o in their tanks; the next they’d be floating belly up. The ants deserted their maze. One by one, the stick insects dropped to the bottoms of their wire-mesh cages, as stiff and dry in death as the twigs they had emulated in life. Only the terrapins did not die, no matter how often she forgot to feed them, or how fetid the green soup of their little pond became. And because she made herself useful around the hospital, working in the lab, running errands for the nurses and doctors, fetching water and food for patients, and so on, the Child was also familiar with the deep and powerful mystery of human death. One day she’d be chatting with an old woman; the next, the woman’s bed would be empty and stripped to its mattress. Late one sultry night, the Child delivered a bite of supper to her mother as she kept watch on a dying patient in a little room off one of the wards. She saw the man start in his solitary bed and try to rise on his elbows, toothless mouth snapping at the air, his eyes wide and fixed on something far beyond the limits of the room, the hospital, the town, the world. She saw her mother ease him down and talk to him soothingly and fold his hands around a rosary, saw him try to take a breath and fail, and try and fail again, and that was that. Her mother called the Child to her side and they said a prayer over the body. Then her mother rose, her shadow wheeling hugely across the wall and ceiling, and flung open the shutters of the window as if setting something free. Thirty-five years after they were launched, the two Voyager spacecraft are approaching the edge of the Solar System, where the solar wind breaks on the shore of interstellar space; at least one commentator believes that Voyager 1 has already exited the Solar System. It is currently more than 18 trillion kilometres from the Earth, and it takes about 16 hours 47 minutes for its signal, travelling at the speed of light, to intersect Earth's orbit, but that's a mere scratch in terms of interstellar distances. The width of the meniscus on a grain of beach sand compared to the breadth of the Pacific Ocean. The nearest star to the Sun, Proxima Centauri, is 4.2 light years away, 2200 times the distance Voyager 1 has travelled so far; Gliese 667, a triple-star system that possesses the best-known candidate for an Earth-like exoplanet, is 22.1 light years away; the supermassive black hole churning at the Galactic Centre is something like 27,000 light years distant. Voyager 1 isn't aimed at any star in particular, but if it was heading towards Proxima Centauri, it would take almost 17,500 years to reach it. And so on. for we cannot steer, and have no port. There's a great deal of science fiction about death; or rather, there's a lot of science fiction about escaping or avoiding death. About longevity and immortality, uplift and the Singularity and Omega Point gods and all the other Peter-Pan dreams of never dying, or rather - and I think this is the important point - never growing old. There are many teenage heroes in science fiction, and some of them are well into their second century. Maybe it's a Boomer thing, like blue jeans and the Beatles. O, Death. Won't you spare me over 'til another year? And do you take Amex? Anyway, one of the characters in The Quiet War and Gardens of the Sun is obsessed with trying to outwit death. I hinted at the human cost of that obsession in those novels, and wanted to expand and elaborate on that theme, and to play with the image of the starship as a vessel of death and rebirth. 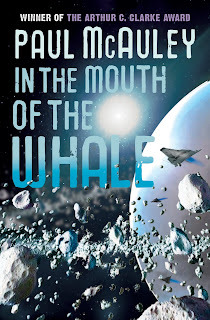 Amongst other things, trying to fit the two tropes together led to the writing of In The Mouth Of The Whale, in which the passenger of a starship relives her childhood as she is prepared for rebirth at the end of her long voyage, and finds history has moved on without her. That's the trouble with being dead, even if it's a strategy for long-distance travel: you cede autonomy to the living.